People renting a home in London are getting younger and now spend nearly a third of their income on rent at a time when rents are rising, according to a new analysis. The average proportion of income spent on rent increased to 31.5% in the last quarter of 2018, the highest share seen in the last four years, says the study from the Centre for London. It also points out that after a period of levelling out, rents paid increased in the 12 months to December, particularly for larger properties, meaning that the average rent in London is now just over £1,500 per month. At the same time, renters are getting younger. In 2015 the average age of a tenant was 34 years, yet today that figure stands at 32. This changing rental demographic is, in part, a reflection of a housing market which is dominated by first time buyers, the report explains. Indeed, while fewer people are looking to buy or sell, with sales down by 18% in the year to October 2018, the number of first-time buyers in London was at its highest since 2015. But overall, the report says that London’s housing market is slowing to a crawl as average house prices rose by just 0.8% in the year to October 2018, and year on year growth has been minimal or negative since April. 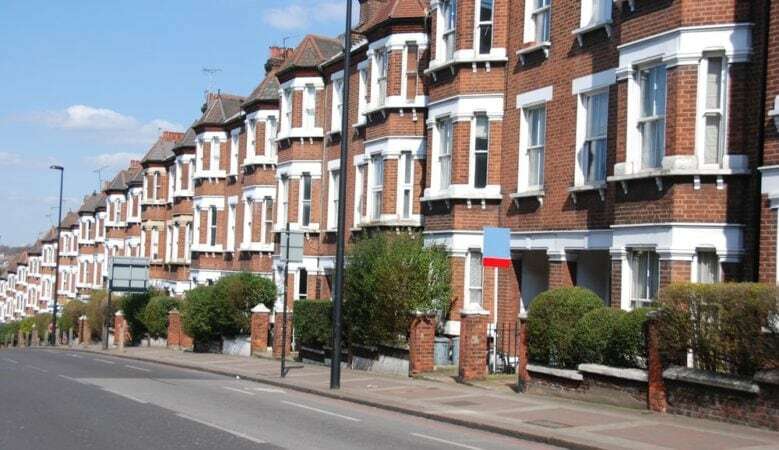 For first time buyers looking to get on the market, Barking and Dagenham remains the cheapest borough to buy a house in, with average housing prices of £315,500 whilst Kensington and Chelsea is the most expensive, with prices averaging at £2,116,000. Greenwich is the cheapest inner London borough, with average house prices of £502,000, and Hounslow the cheapest in west London, at an average £530,000. The analysis also found that lack of confidence in the market is affecting the delivery of new housing. New build starts were down 7% in July to September 2018 compared with a year previously, while net additional dwellings for the year ending March 2018 fell to 32,000, less than half the level stipulated by the draft new London Plan. At the same time, the number of planning approvals fell for both major and minor schemes. Planning applications for major schemes fell by 30% in the third quarter of 2018 compared with the previous year, with 84% of applications in that quarter being approved. This may herald a worrying longer term slowdown in activity. ‘London is displaying a number of worrying trends, across both the housing market and delivery. London renters are getting younger. This demographic change, together with a return to rental growth and wage stagnation, means that renters need to spend more or their salary on rent. When a third of your income goes on putting a roof over your head, living in London is tough,’ said Silviya Barrett, research manager at the Centre for London. ‘Meanwhile, Brexit uncertainty, existing home owners staying put and a lack of confidence among house buyers have led to house price growth slowing to a crawl and the number of transactions plummeting,’ she pointed out. She explained that while some Londoners may welcome a calming of the market, enabling more people to buy their first home, the risk is that a sluggish market supresses supply and there are already some indications this may be happening, as the number of starts and planning permissions is falling. ‘If private sector housing delivery in London does slow down, there will be both an opportunity and an urgent need for local authorities and housing associations to take up the slack in building the homes London needs,’ she added.